This unique black clock will brighten your room while keeping perfect time! 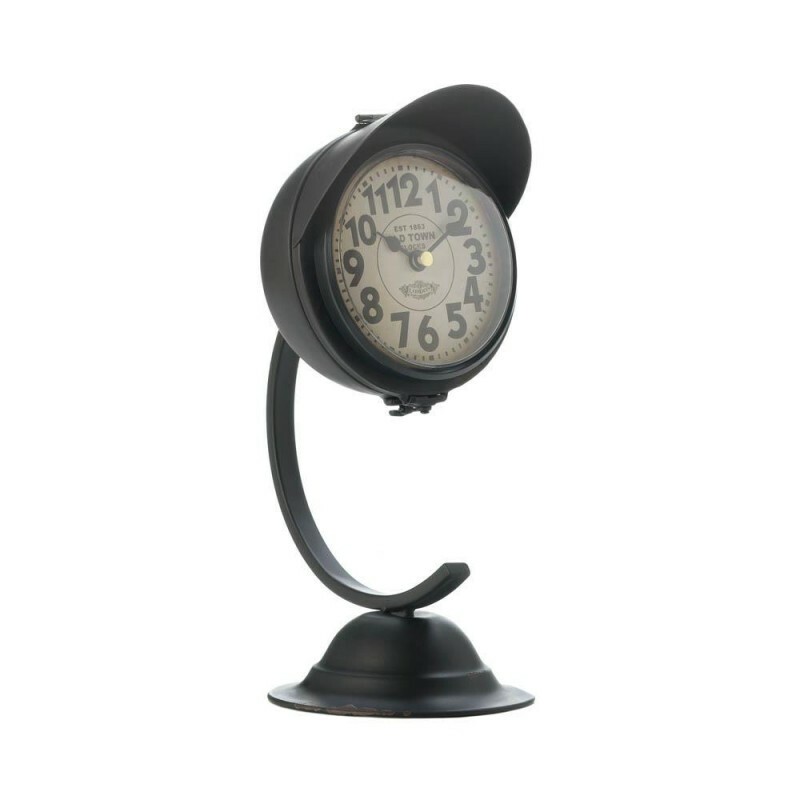 The iron framework features a bell-shaped base, curved arm, and a cool clock with an iron visor. It adds a dash of vintage charm to any space. 5" x 6.25" x 11.5". Iron, Paper, Plastic.